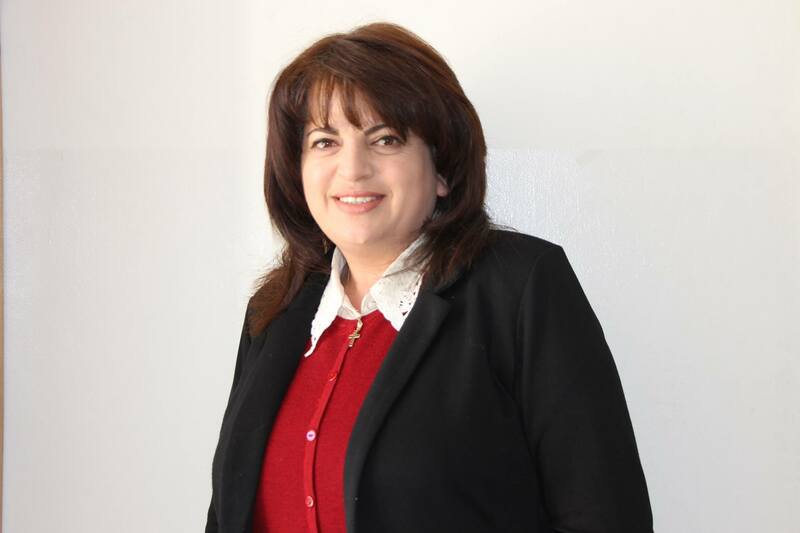 As an alumna of Bethlehem Bible College, Hala Douqmq-Ghneim began working for BethBC right after graduation. She began her studies in 1990, and since then, she has been a part of the ongoing work of the College. As this month commemorates International Women’s Day as well as Palestinian Mother’s Day, it was fitting to introduce you to one of our faithful women who serve both the College, but also the community around them. As we step into BethBC’s 40 years of faithfulness, we get to know those that have been with us for the majority of that journey. Hala went from a BethBC student to librarian immediately upon graduation. The College was in need of someone to help organize, build and structure a library for the current and future students of BethBC. Hala stepped in, and with a library that was primarily only Bible study books, she transformed it into what is now a children’s book section, a reference room and a much more broad and deep book selection. The balance of going from student to librarian and learning how to engage in a different role was an adjustment. Hala describes her time in her earlier days at the College as special and communal. It’s no doubt that the College played a role in her life, as when she was asked one of the most important lessons taken from her time at BethBC, she answered, “Loving and being kind to people by shining the love of Christ in any situation.” The duration of Hala’s time at the College has allowed her to see the seasons of growth, struggle, victory and expansion. Hala followed her own advice that she is giving now. By her faithful service to the College, she has been a part of something bigger than any of us can be as individuals. Her role with the BethBC community impacts the lives of students and faculty daily. For many years, her presence has been one that contributes to the larger mission of the College, and her example is one that we can look to as faithful and steadfast. People like Hala are the reason why we are able to celebrate BethBC’s 40 years of faithfulness!